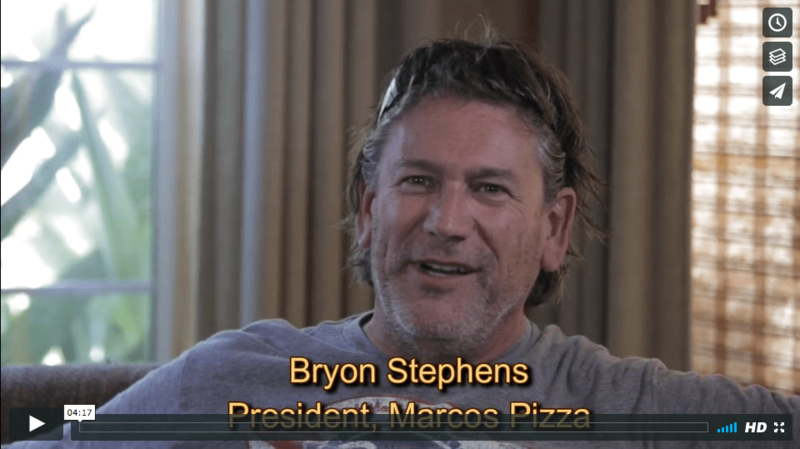 Bryon Stephens is the president of Marco’s Pizza, one of the fastest growing food franchises in the US with over 800 stores and 1/2 billion dollars in revenue. He is a shining example of an Extreme Leader. As a matter of fact, he was featured on an episode of Undercover Boss. He also happens to be a recent graduate of our Extreme Leadership Certification program. Have a look at this video to hear about his experience in his own words. He’s dressed just like that guy next door–PBR T-shirt and all. No suit and tie here! Just good, authentic, heartfelt reaction to the program. (By the way, this video was shot in my home during the final celebration barbecue on the last day of certification). Come and join us for the remarkable experience that is Extreme Leadership Certification!